If you are looking for a great low-cost Science based activity to while away a few happy hours, you’ll love this Rainbow Foam Dough recipe. Think of it as a kind of homemade kinetic sand. Of course, making it is just part of the fun. Your children will have hours of fun playing with and modelling with it too. Use a variety of different food colourings to achieve different coloured dough. It’s so easy, even kids can do it, and you’ve probably already got all three of these ingredients hiding in your pantry somewhere! So what are you waiting for? Put shaving cream into bowls and combine with food colouring to create different colours. Add the corn flour and combine with fingers until it creates a dough consistency and sticks together when moulded. Warning: Parental supervision is required whilst spraying the shaving cream to ensure that it isn’t held near the face, eyes or mouth. Scientific skills: Understand that mixing different items you can create something entirely different. Language and communication skills: Following instructions, and discussing the process, feeling, etc with parents/ peers and caregivers. 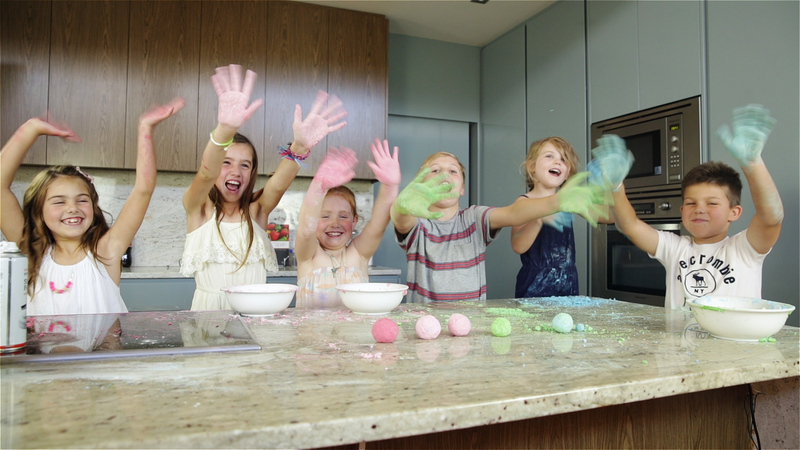 Do not allow children to put the rainbow foam dough into their mouths. This activity is not recommended for children under 3…although there is no limit on what age-group will enjoy this sensory experience. The rolled dough actually makes great little ‘stress balls,’ so Mum, Dad and the grandparents can get in on the modelling action too and benefit from its therapeutic qualities! The Kids Lounge team recommend storing your homemade kinetic sand in a air-tight container when not in use to prevent it from drying out. 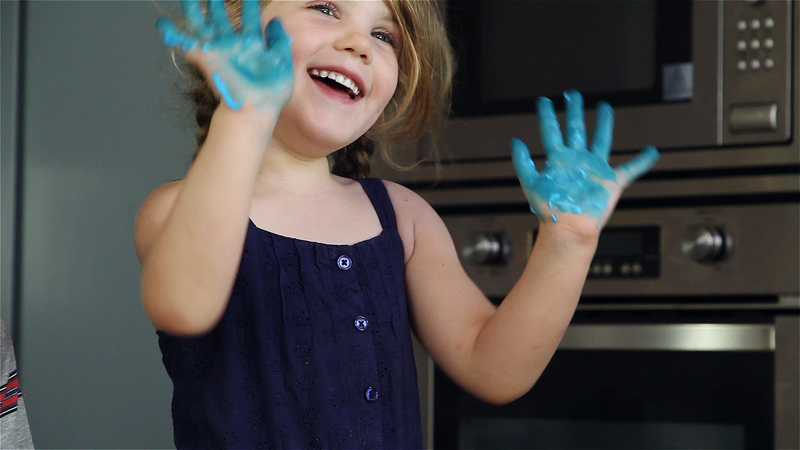 For more fun activities, recipes and toy reviews subscribe to Mum Media Group TV on Youtube. We’ll see you there!